6th – Mark Clow – 31lb 4oz (p24). Reasonably mild, overcast and light winds today with rain in the last hour. The day started off well with the fish feeding quite well, but a change in the wind upset things a little and the fish slowed right up in the afternoon.. Not so many Carp feeding today, most likely due to the severe downpour we had yesterday affecting the water temperature. 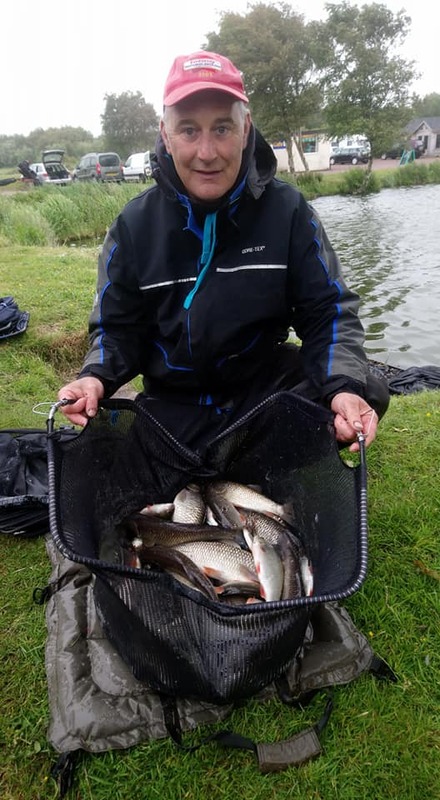 On Queensberry Water Gerry Blythe drew end peg 29, and with the wind favouring that end of the lake.. So did the fish.! 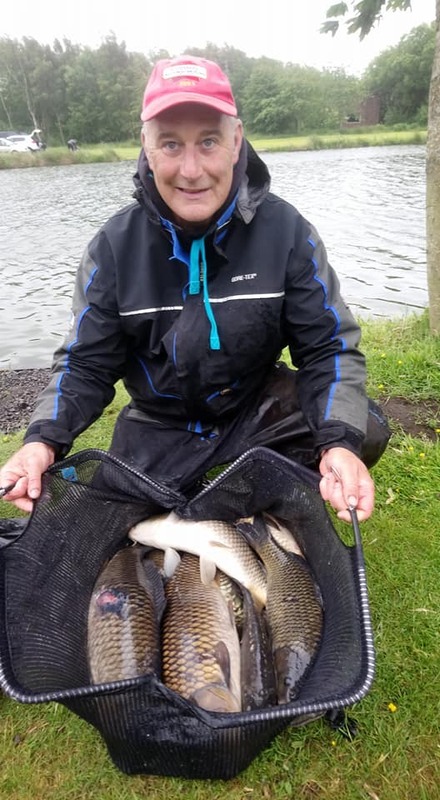 Gerry did very well catching around 40lbs of chub, along with, 43lbs of carp to win the lake section with a superb 83lbs 4oz. 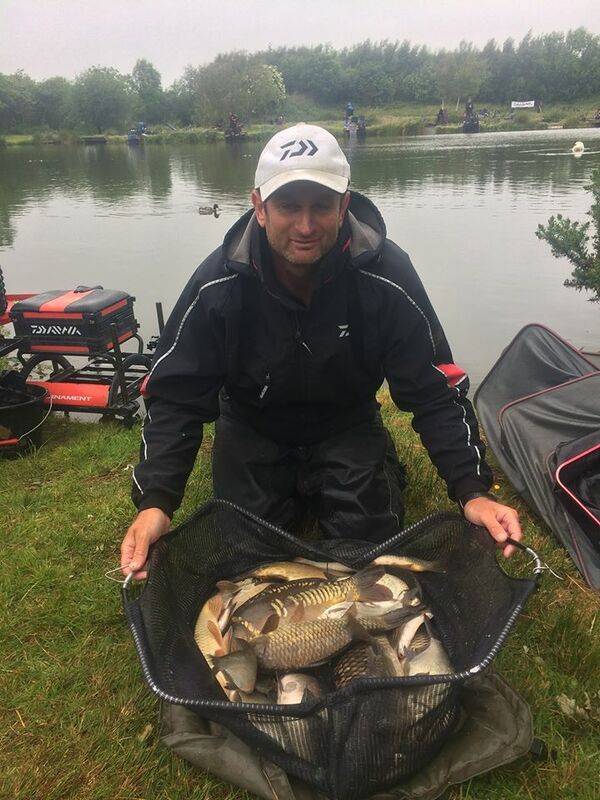 Martin Greene drew peg 20, and took 2nd place with a mix of ide, skimmers and carp for 64lbs 8oz… The fish hadn’t moved far from yesterday with Steve Ringer doing well there during his demo. 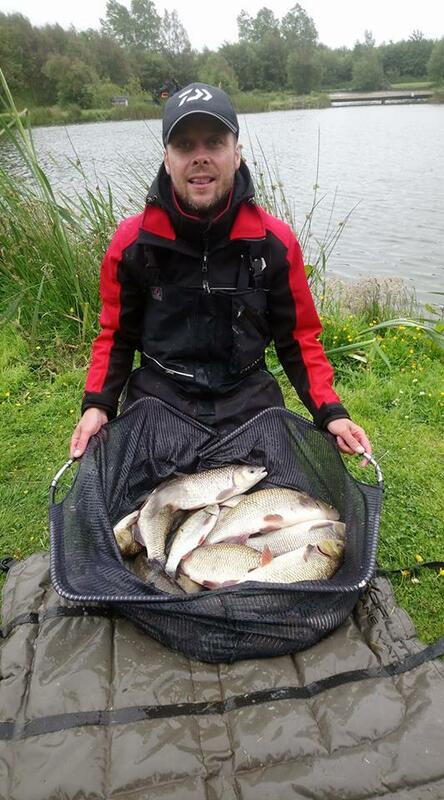 Barry Young took 3rd place with a good bag of big ide and, 5 carp for 55lb 14oz. 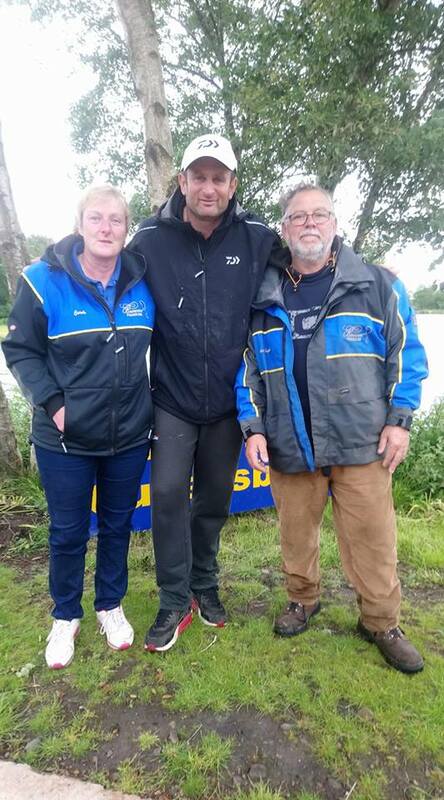 On Bruce’s Acre it was no surprise that peg 13 was the one everyone wanted, and Simon Heyes was the lucky Angler today.! 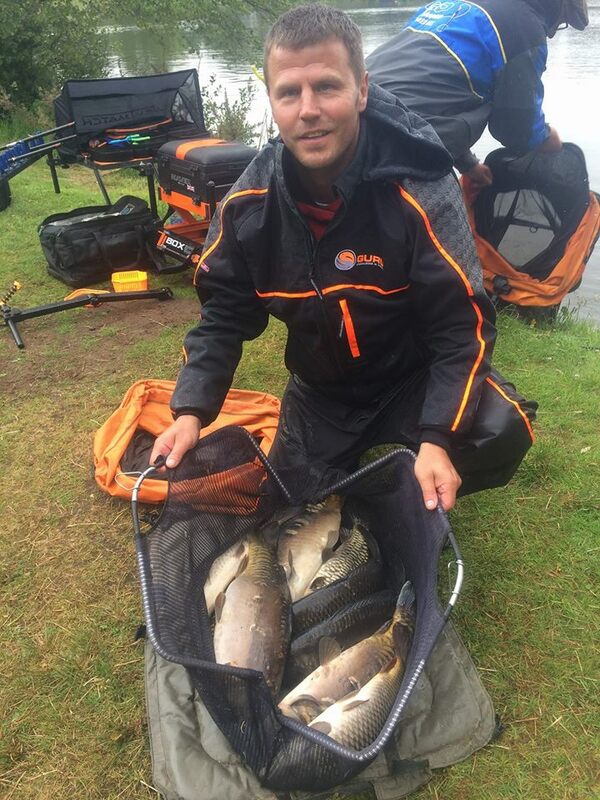 Simon won the lake and section with a mix of carp and silvers for 67lb, 6oz… And lost as many under the bridge.,! 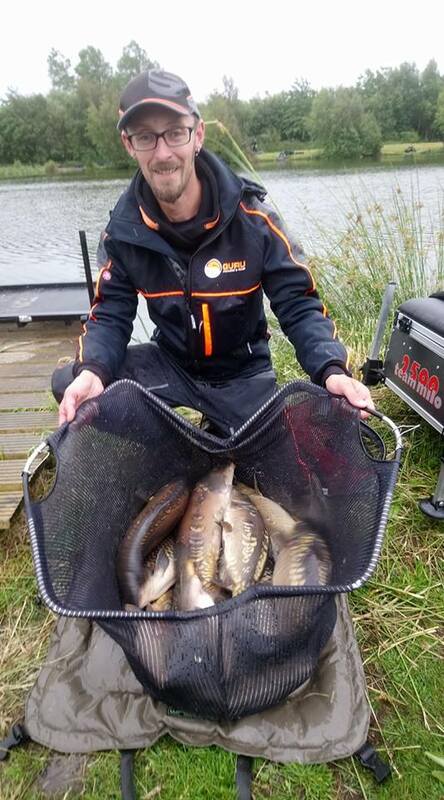 2nd Place was taken by Nick Howe on peg 2 with a respectable 39lb 12oz net of fish, a mix of carp and silvers. The last framing place went to the one and only Steve Ringer, putting 37lbs 4oz on the scales from peg, 4, a great effort on a day when the fish had other ideas..! 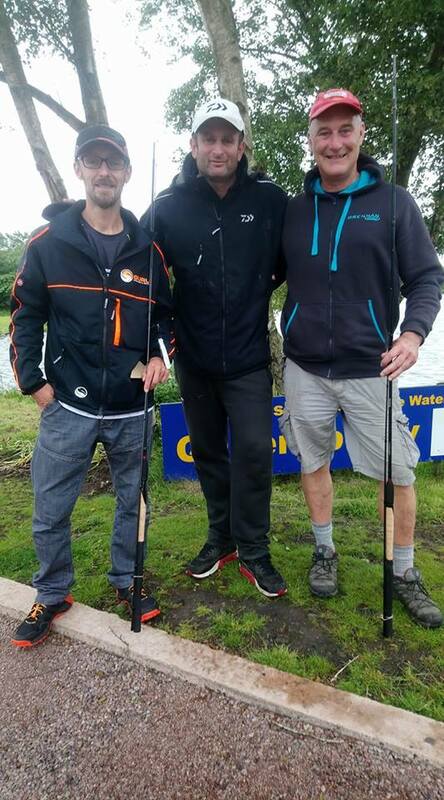 Daiwa kindly donated two “” Tournament” “rods as two extra prizes, awarded to the lake winners… Well done Gerry Blythe and Simon Heyes..! 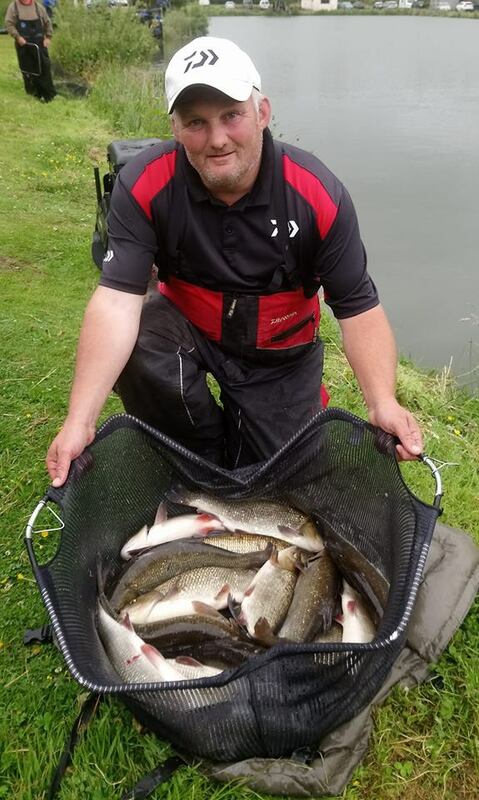 A great end to a fantastic weekend with Steve Ringer and the Daiwa team… Many thanks from all the staff and regulars at Broom..!